Just now, our local police issued an intense Heat Advisory warning through-out Southern California! In such hot weather, all we feel like to eat is something cold, chilled, refreshing, and hydrating! Now, we can't survive on drinks alone. So I thought a chilled dessert like Rice Pudding will be perfect to beat the heat! Bonus! I topped pudding with some crushed blueberry almonds for extra fruity bite. 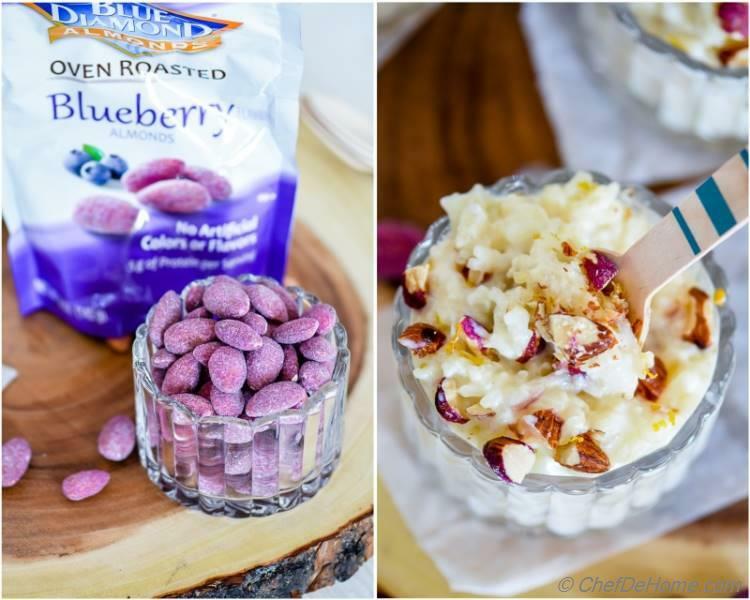 Blue Diamond Blueberry Almonds are oven roasted with no artificial flavor or preservatives. 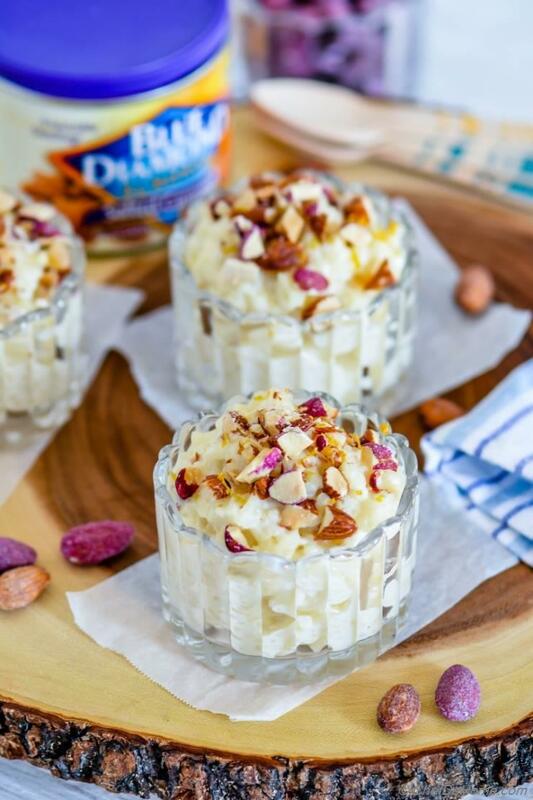 With 5g of protein per serving, these are almonds are perfect for healthy snacking or topping on dessert, like this Rice Pudding, for delicious nutty crunch! I don’t think people ordinarily consider salt while thinking sweet! But, I have to tell you, a little hint of salt can take your otherwise sweet dessert to whole new level!. We all love salted caramel in desserts, don't we? 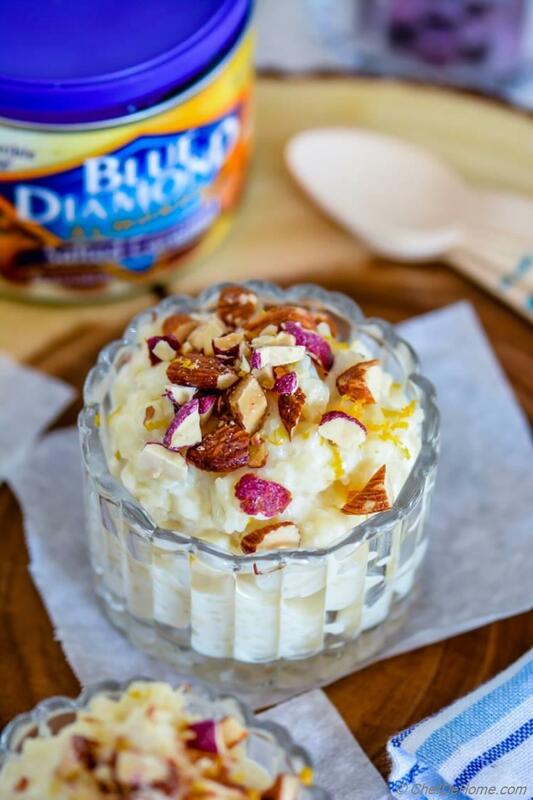 Salty bursts of crunchy almonds, really elevate this sweet rice pudding into something seriously delicious! I crushed and folded a handful of almonds into rice pudding, and used rest on top for extra crunch. Few words about egg-less nature of this creamy pudding. 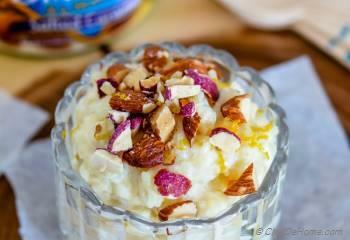 This rice pudding is reminiscent of Indian Rice Kheer which NEVER has eggs. 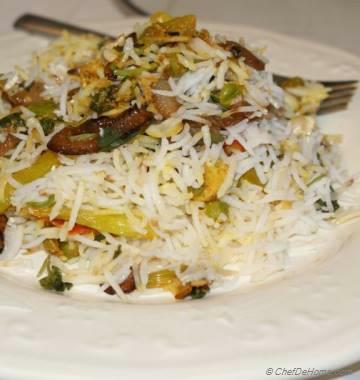 It is long grain rice cooked low and slow with just milk and sugar.... until starch in rice makes everything creamy and delicious. 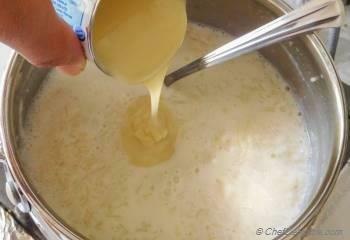 For this recipe, I opted to use condensed milk instead of cooking rice for long time. A little cheating.... but worth to serve creamy pudding quickly.... no long perching on stove!! I'm not sure how is weather in your part of the world... however, we are having a HOT HOT daytime advisory for whole next week. I'm planning to enjoy my weekend with a small serving of my chilled Rice Pudding, you should too! Have a great weekend, my friends! Stay safe and hydrate well in summers. Total Time 25 minutes Prep Time 5 minutes Cook Time 20 minutes Difficulty Easy Yields 4 - 1/2 Cup Servings Serves 4 Notes Needs extra time to chill the Rice Pudding in refrigerator. 1. 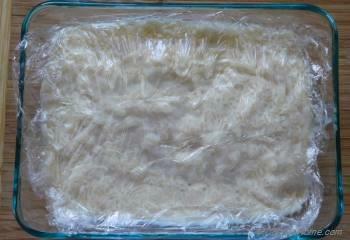 In a deep heavy bottom pan, add 1 cup milk, 1/2 cup water, and rinsed long grain rice. 3. 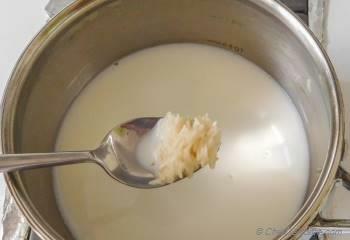 Add remaining 1 cup milk, condensed milk and cook for another 5-8 minutes on medium-high or until liquid is almost absorbed. Keep an eye, don't let rice burn. 5. Before serving, chop half of Salted Caramel Almonds and fold into pudding. Divide chilled into 4 serving cups. Top with remaining chopped salted caramel and blueberry almonds, and orange zest (if using). 6. Keep refrigerated until ready to use or serve immediately. Pudding Too Thick after Chilling? Once chilled, if pudding is too thick since warm rice were absorbing liquid quickly, add 1-2 tbsp cold milk in chilled pudding and fold well. Cold rice will not absorb all of this milk and pudding consistency will be much more creamier! This post is sponsored by Blue Diamond Almonds. All views expressed are my own. 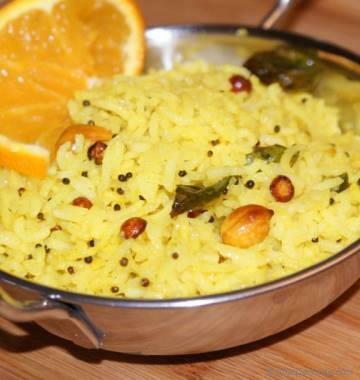 Did you say rice kheer? I AM SOLD!! Looks delicious! And those blueberry almonds look so cool. Thanks, Bach! 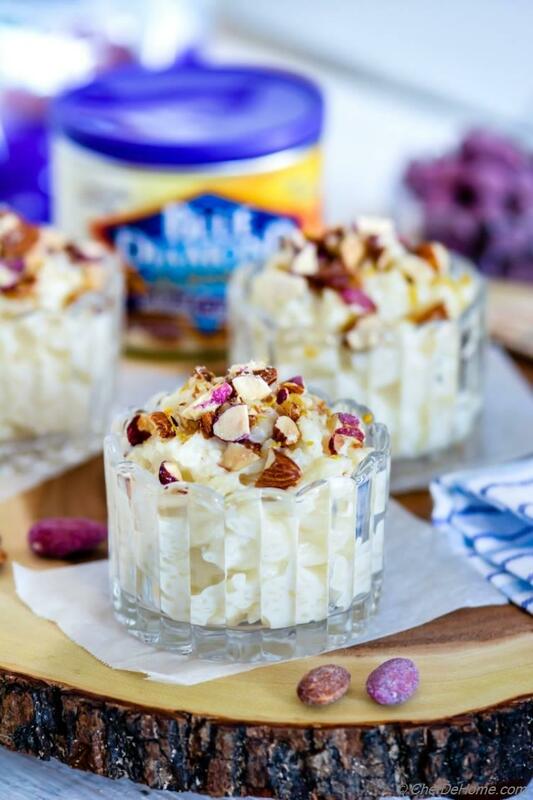 Blueberry almonds make this pudding even more inviting! Just dig right-in! Thanks, Arpita! 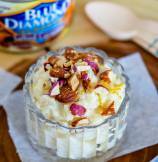 Crunchy almonds take this pudding (I would say, an instant kheer) to whole new level. Loved it! This rice pudding looks so creamy and delicious! 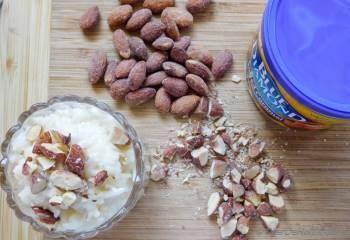 Love that you added the Blue Diamond almonds, such a great idea! Kelly, thanks! Blue Almond Diamonds provided much needed crunchy texture and savory bite to this pudding. Rice pudding is one of my favorite desserts, but I've never actually made my own! This looks SO delicious with those almonds added. I'm with you - I like to add a savory touch to my desserts as well! Keri, I'm SO happy to find a person who like savory desserts :) If you get chance, try this rice pudding at home. You gonna LOVE it! Thanks for stopping by my friend! This looks so simple, that even I could do that. What I mean by that, is that rice pudding is something that I have never been able get right. I am going to give your recipe a try. Dannii, thanks dear. I'm glad you find this recipe easy to execute. Really, it is my favorite way to make pudding just because of simplicity and perfect results. I hope you get chance to try it sooner! I'm in love with these almonds! And the rice pudding sounds delicious! Such a great idea! Pinned! Thanks for the pin, Mira! Blue diamond almonds are one of my favorite too. They were sure star in this rice pudding. Alka, thanks! 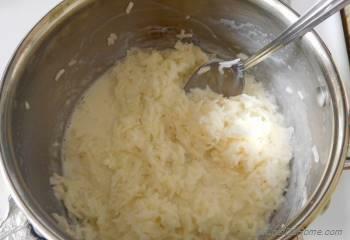 This rice pudding sure came out very delicious. Thanks, Kushi! 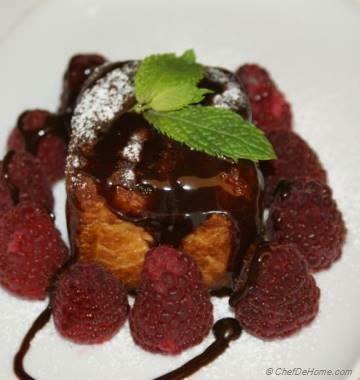 Glad you like this pudding :) Almonds make it even more delicious!